For many people an airport is a necessary evil. A place to be endured once or twice a year en-route to a well earned fortnight away on a beach somewhere hot. However, airports have become much more than just a place of transit for passengers – they are often the economic engine of a city and a commercial centre in their own right. Manchester Airport is the largest airport outside of the South East, the main gateway to the North and a key driver for the regional economy. Airport City is a place where organisations from around the world converge to conduct business and exchange knowledge supported by hotel, conference, retail and leisure facilities. 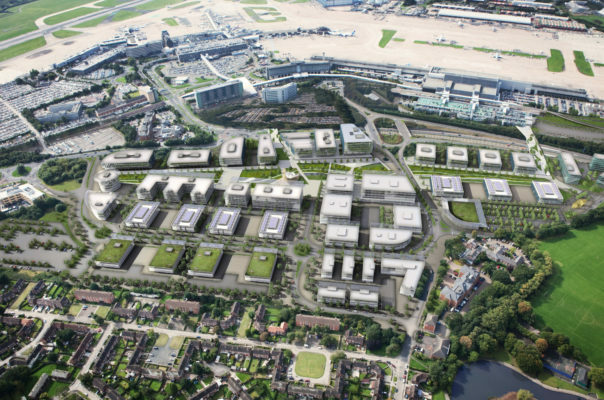 Since 2008, 5plus has been retained by Manchester Airport Group to assist in the long term masterplanning of the wider airport operational area with a particular focus on its commercial assets. An ambitious plan has developed that will transform the airport into an economic hub and destination in its own right, with a focus on increasing long haul flights, improved ground transportation and the delivery of a real estate platform to enable further business opportunities in health, logistics, cargo, advanced manufacturing and corporate sectors. As part of our ongoing role we were commissioned to prepare proposals for a central bridge across the M56 motorway spur, providing a new footbridge connection between Airport and Airport City. 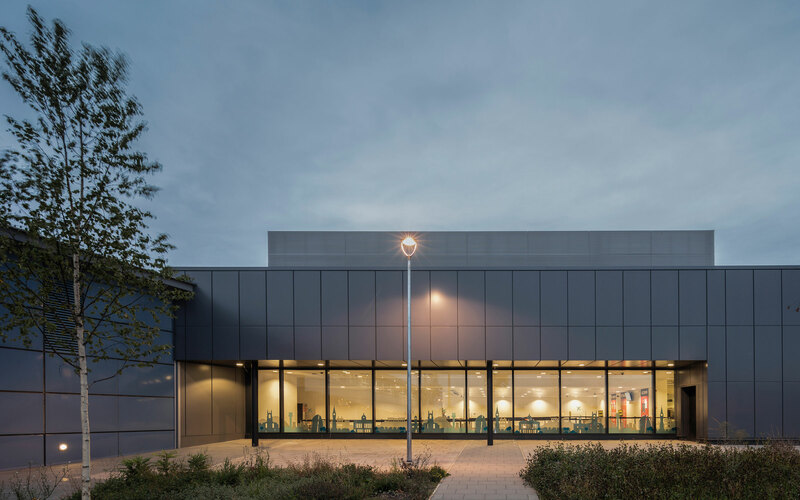 The new bridge will provide access for cyclists and pedestrians in neighbouring Wythenshawe and the wider area to the employment opportunities at the Airport. The footbridge will also enhance the plausibility and deliverability of the early phases of the masterplan, driving early fundamental connections and informing the urban grain to be developed. 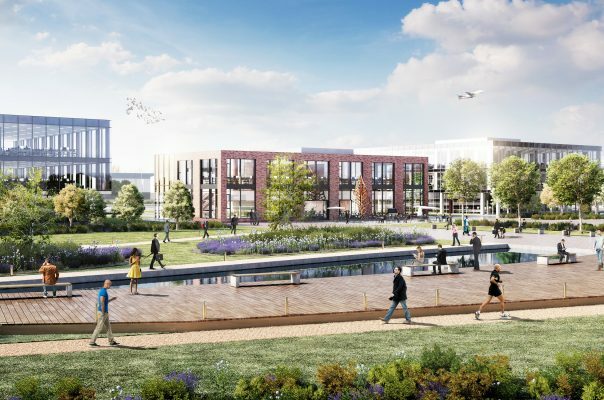 Our most recent work on Airport City has been the development of proposals and submission of a planning application for 92,000 sq ft office buildings and accompanying multi-story car park. The plans also include extensive landscaping surrounding the new Airport City Bridge. The two six-storey buildings share an almost identical appearance and layout, with a glass and steel-look. Combined, they will offer 184,000 sq ft of Grade A office space, along with ground floor amenities including co-working spaces and cycle storage facilities. The new multi-storey car park will provide a total of 1,497 car parking spaces across eight levels for office workers and hotel guests – along with ground floor commercial units. It will feature ‘pleated’ anodised aluminium panels on the exterior that are perforated to allow natural light to enter during the day.